Oh yea. 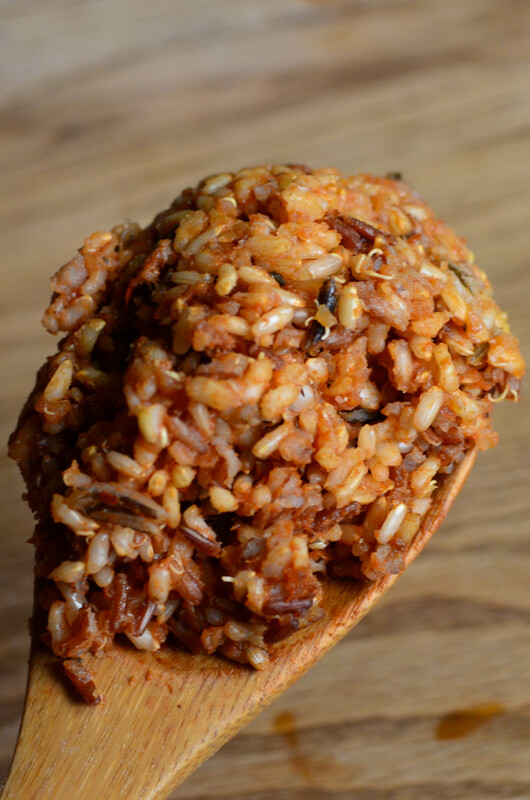 So much better than just boring old rice. Quinoa: the grain of the Incas! Actually, upon further investigation, quinoa technically isn’t a grain, it’s a psuedocereal. Much like buckwheat (which is gluten-free, I was horribly misled recently and was correct by a fellow blogger and favorite sister, thanks Jill). Quinoa is related to beets and spinach which is even more cool, since I love both of those. 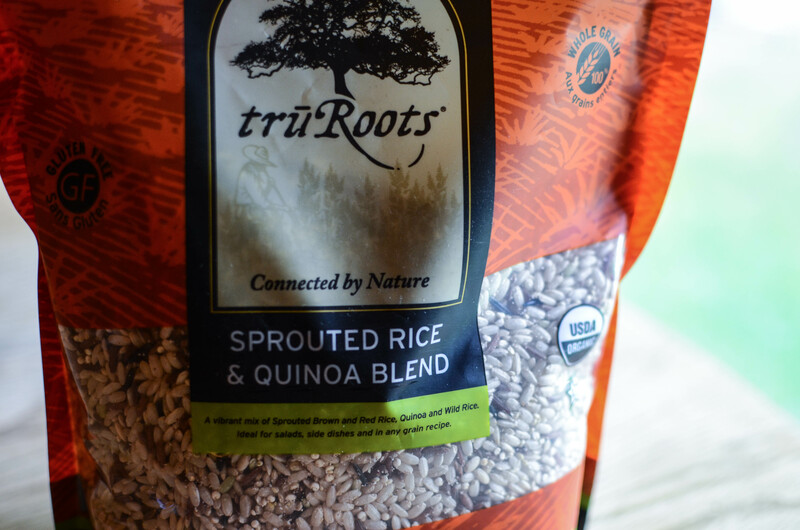 I found this terrific mix at Costco, sprouted rice and quinoa. It’s nutty and delicious. I think it’s best cooked with chicken or vegetable stock rather than water. I decided to make it spicy this time with tomato sauce, Valentina Sauce, jarred salsa and red pepper flake. It was terrific! It’s really great to have hubby meals ready to go. 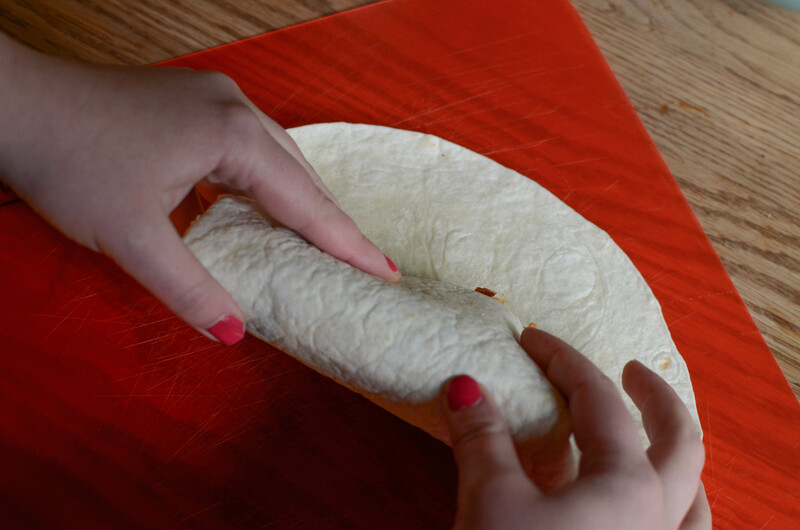 And there is nothing easier than homemade frozen burritos. 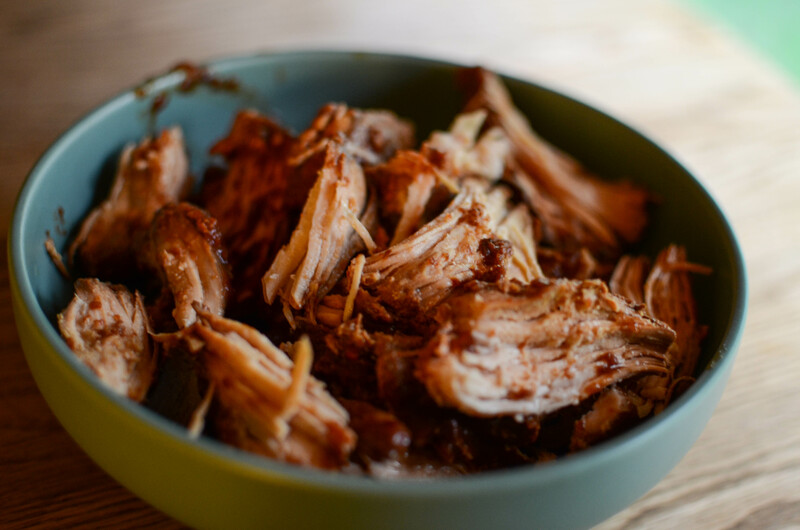 I slow cooked chicken breast in canned enchilada sauce over night shredded it. Matt likes his burritos “saucy” so I puree-d our favorite brand of jarred sauce and cooked it for 20 minutes till it cooked down to a thick sauce. 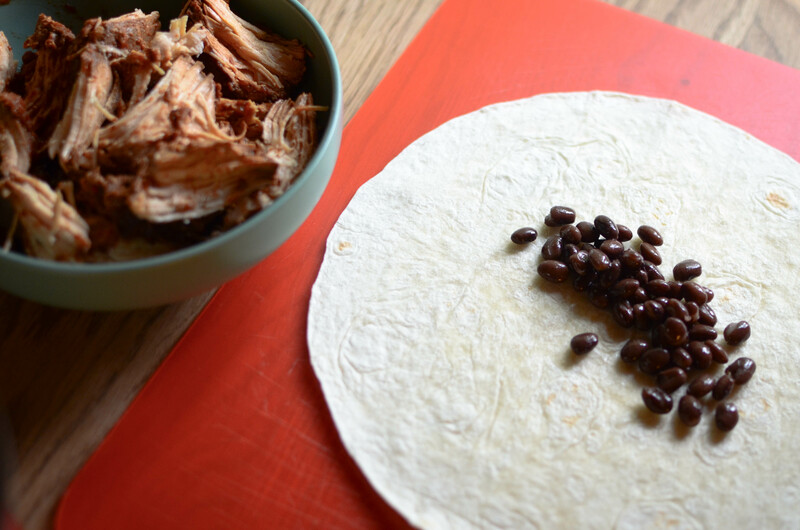 Pretty simple, just shredded chicken, the spicy sprouted rice quinoa, a couple of cans of black beans (yes, sadly I haven’t been slow cooking my dried black beans . . . and no, the canned ones do not taste as good) and the sauce. 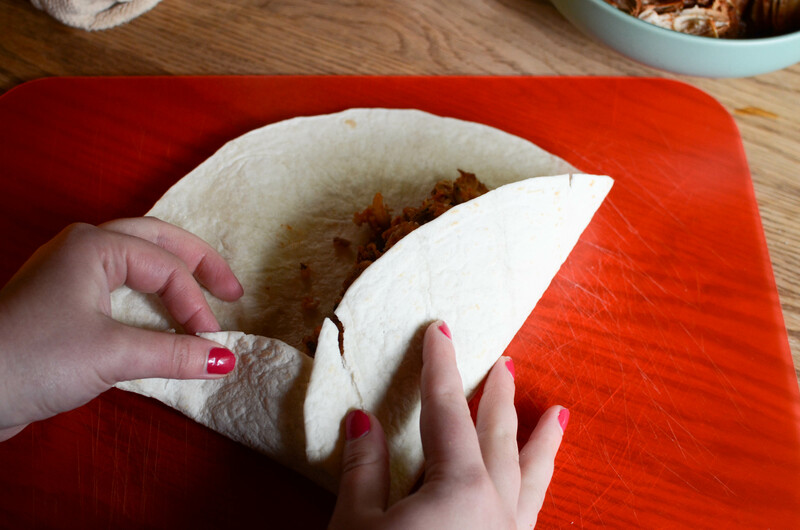 I always overfill them and my tortilla rips, save yourself some effort and heat your tortilla up before wrapping, like they do at Taco Del Mar, seriously saves some annoyance later. 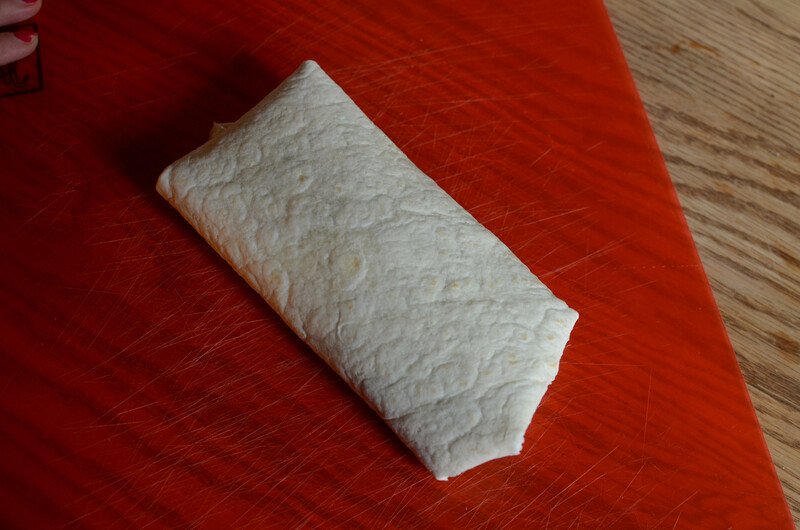 I am by no means a good burrito wrapper, especially with a cold tortilla, so do it however you deem easiest! My recipe made 9 large burritos, although if I was paying a little more attention, I’m sure it could have easily made 10. Cook the following ingredients according to directions. The Trū Roots instructions said to boil the water in a saucepan (so I boiled the tomato sauce, spices and water, then add rice mix to boiling “liquid”, top saucepan with lid, turn down heat to low and allow to cook for 25 minutes, mine needed about 30. I then allowed it to cool for 20 minutes in the pan. 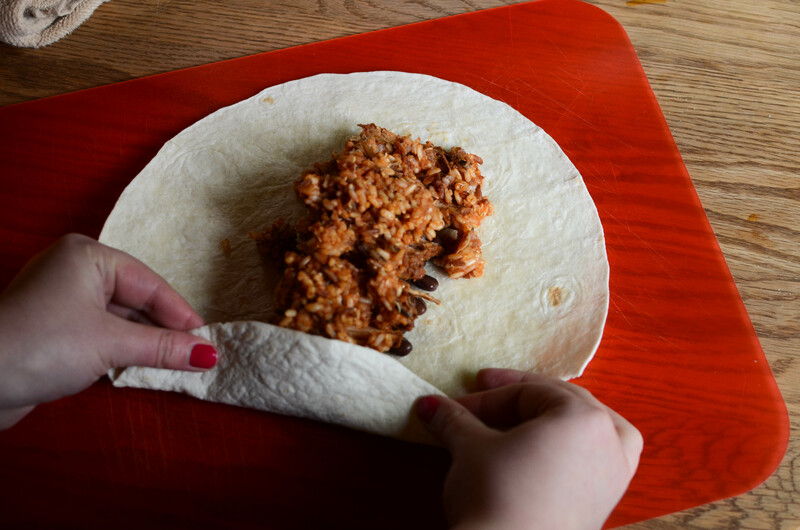 Assemble burrito (see above photos)! 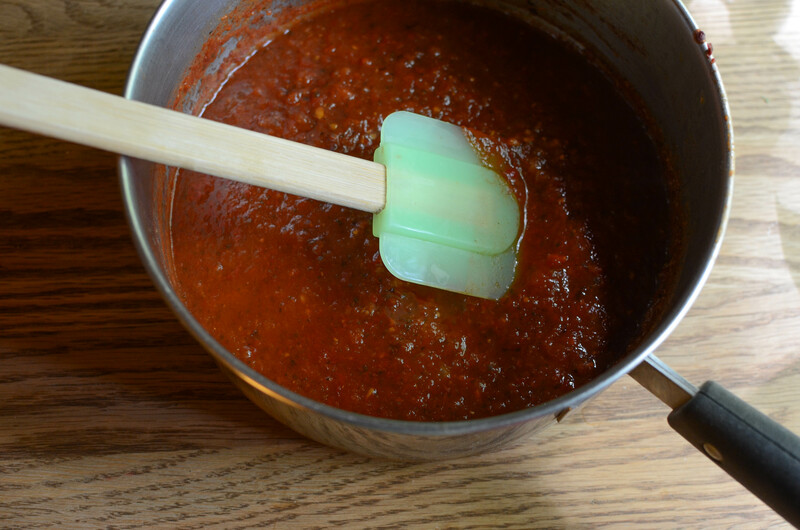 I layered it a few ways, but I found spreading some of the puree-ed salsa down first was easiest. 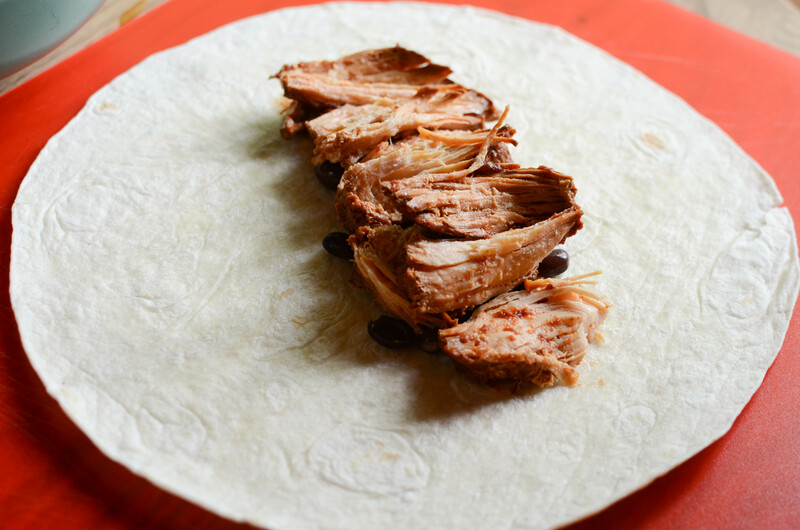 Wrap up and bake for 30 minutes in a 350°F oven. Allow to cool before wrapping up to freeze OR enjoy immediately with sour cream and guacamole or whatever!